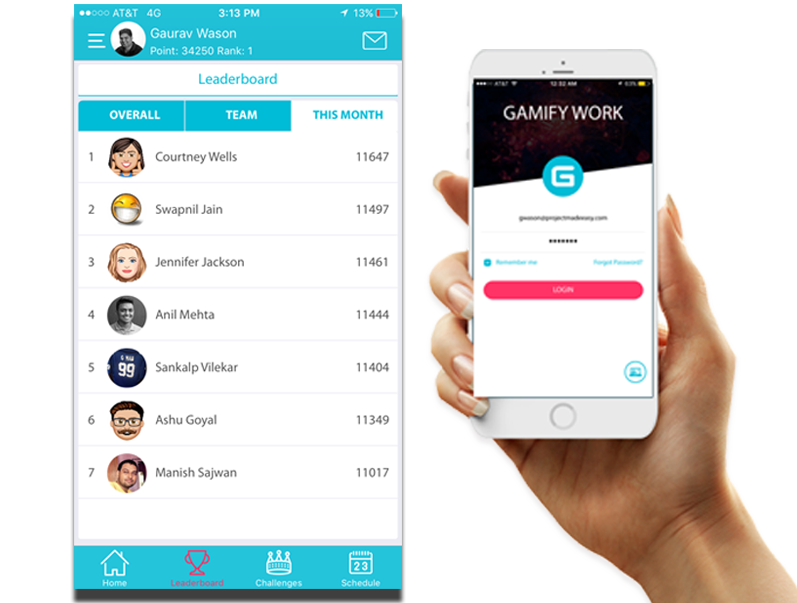 GamifyWork is a mobile app (available on Android and iOS) that lets companies gamify routine tasks across teams and the organization. Managers and team leads can identify key performance indicators (KPIs) and, with the help of the GamifyWork team, can track their employees’ performance on those metrics in an easy to use dashboard. Employees can see their own statistics and can compete with their colleagues to win challenges and earn prizes for outstanding performance..
Gamification – or the application of game-like elements and rules to one or more activities – has been used in a variety of spheres, from personal growth and development to product and service reviews to corporate training initiatives. The purpose is to encourage participation…and it works! After all, isn’t it more fun to complete a challenge and level up than to simply work through your day-to-day tasks? Gamification introduces fun into the workplace, as well as a little friendly competition! Some people thrive on rivalries, while others are driven solely by their own achievements. Whatever your team’s motivation, gamification can help unlock their potential and bring out the best in your workforce. Gamification allows for employees to quickly assess how they are performing against the various metrics and against their colleagues. Users can see in what areas they excel…as well as the areas they need to work on. When done right, gamification can help managers and team leads to recognize the top performers, modeling for other employees the behaviors that will gain them respect and additional responsibilities at the organization. 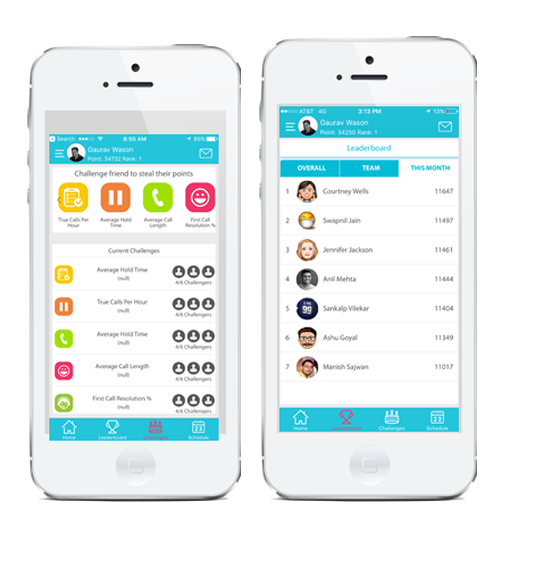 The GamifyWork app makes it easy to motivate your team to greatness! Users log into the app with their proper credentials and can create a profile which other users in their organization can see. 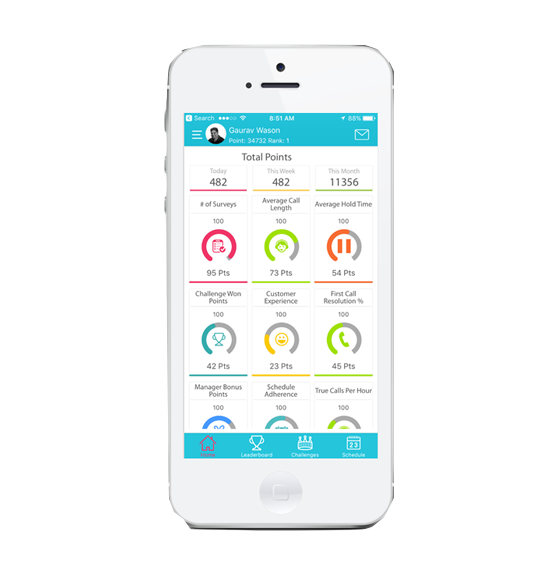 Some key performance data, like users’ all time running score and current monthly score are visible to all members of the organization. But other, more personal statistics, are, well….personal. An easy to use dashboard allows users to see how they are performing against the defined key performance indicators (KPIs), as well as their lifetime score and currently monthly score. If they need details on a specific metric, they can simply click into it to view the specifics. Managers and team leads can set up challenges for their teams to encourage friendly competition and stellar productivity. And individual users can choose to challenge each other in ad-hoc matchups – with the ability to wager points to sweeten the deal! Users can see where they stack up against their friends and colleagues within the organizational, team-specific, and current month leaderboards. Managers and team leads can specify prizes based on specific scores or based on challenge winners, to encourage users to keep improving and delivering on the key metrics. Discover where gamification can bring you and your team.